DRIVE IN Access: Drive in to 500,000 acres of water on Ontario’s incredible Lac Seul. 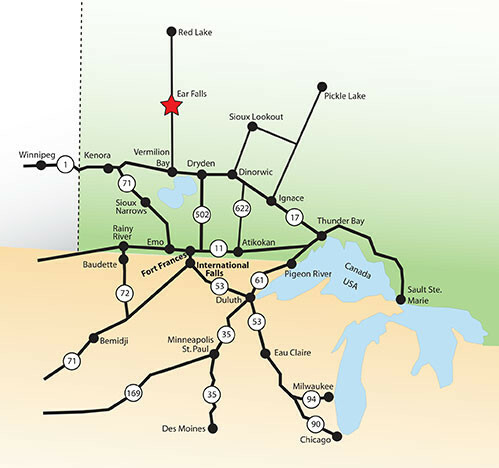 Golden Eagle Resort is located off Highway 105 near Ear Falls in Northwestern Ontario. We are 2 kilometres from all amenities. Or contact us through email using the form below.